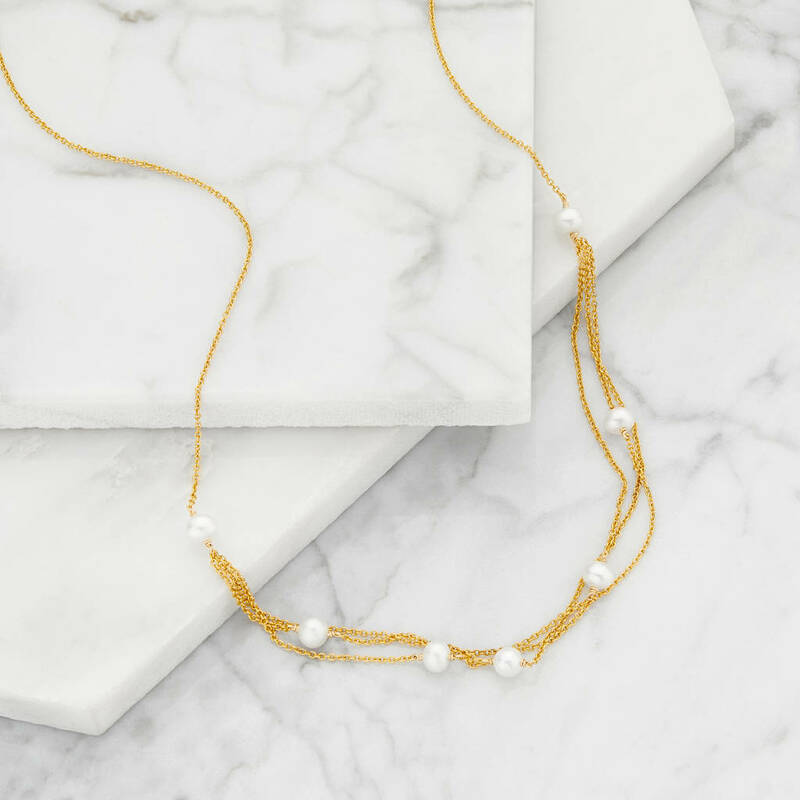 Lily & Roo's stunning Rose, Silver Or Gold layered pearl Necklace. A jewellery gift that is sure to impress her. 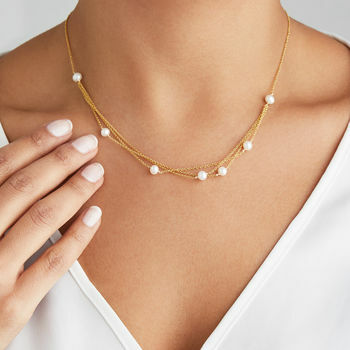 Rose, silver or gold layered pearl necklaces the perfect gift someone who loves subtle style. 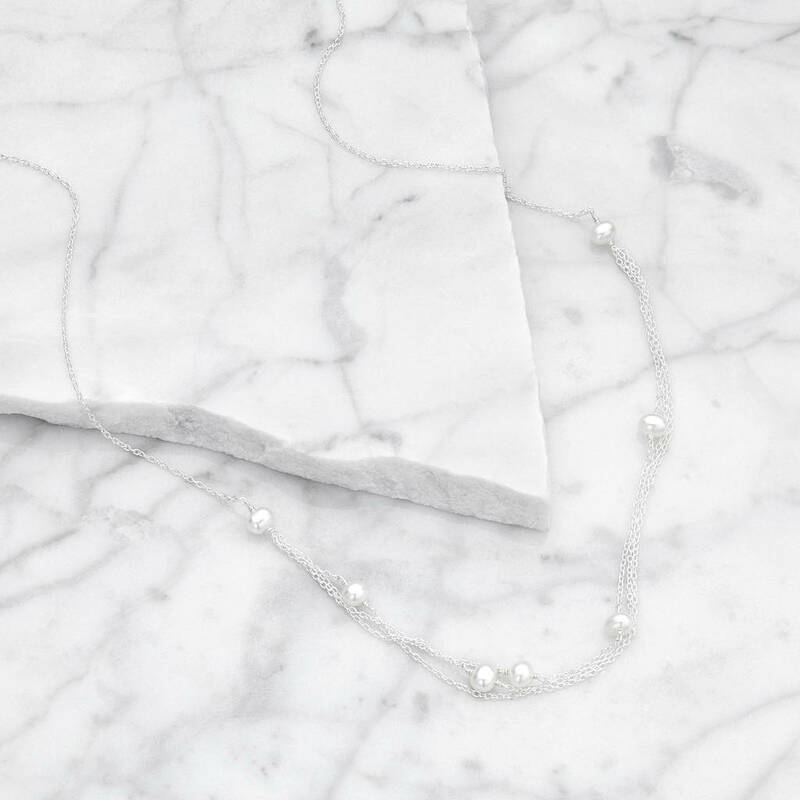 Our layered pearl necklace will compliment any outfit and is ideal for a bride to wear on her wedding day. 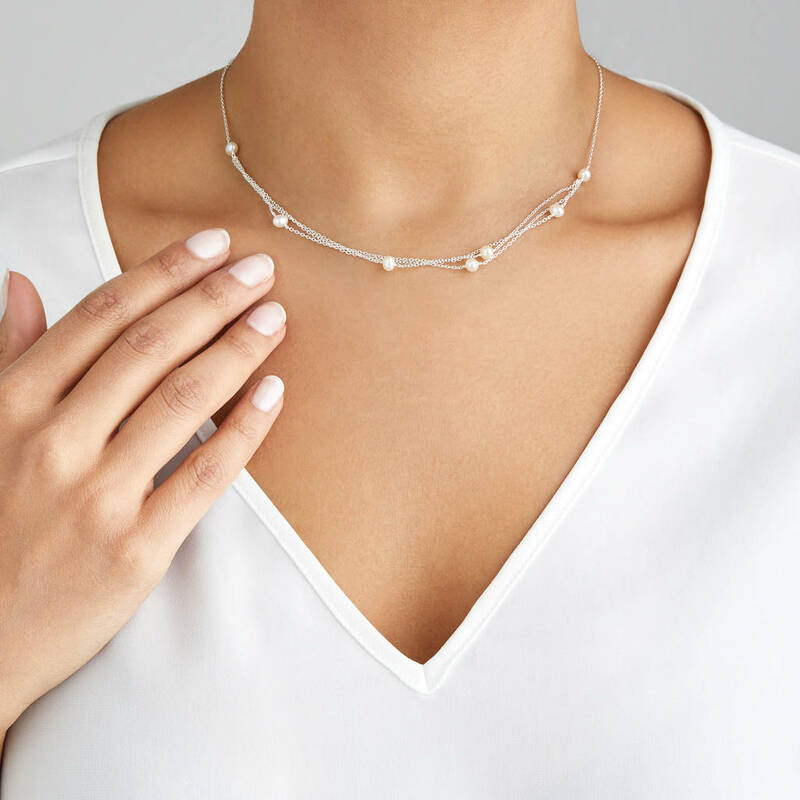 This stunning layered pearl necklace will be sent to you in a complimentary Lily & Roo gift box ready for that someone special. 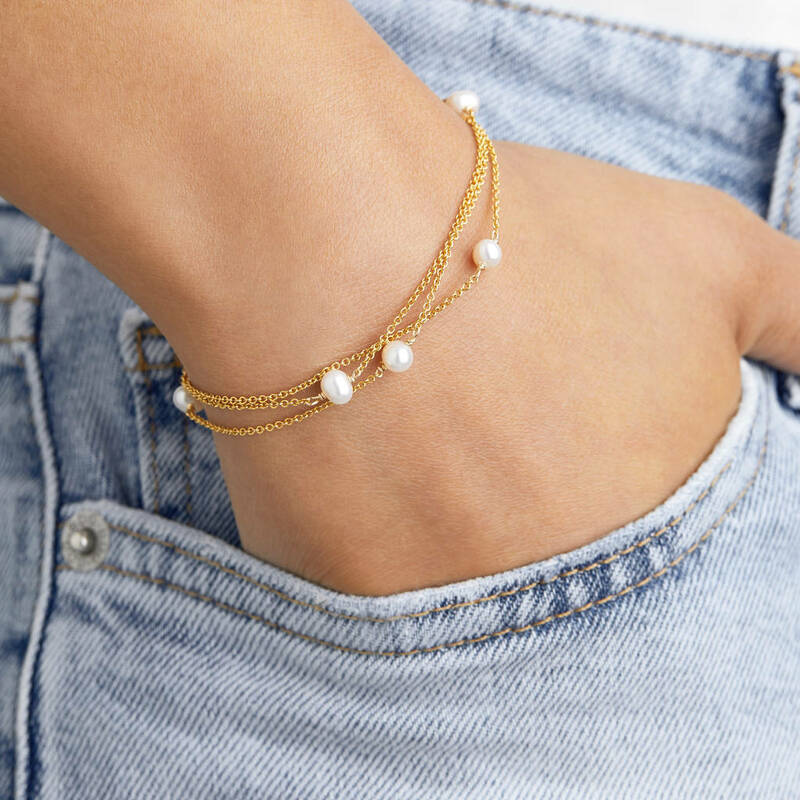 Traditionally designed and handmade in our London studio, this layered pearl bracelet sits perfectly on the chest whilst not being completely symmetrical, giving it a little more edge. Why not add the matching bracelet when placing your order? 14ct. gold filled, 14ct. rose gold filled, sterling silver or solid 9ct. gold chain. Width of pearls: 0.4cm (*Please note organic pearls vary in shape*).